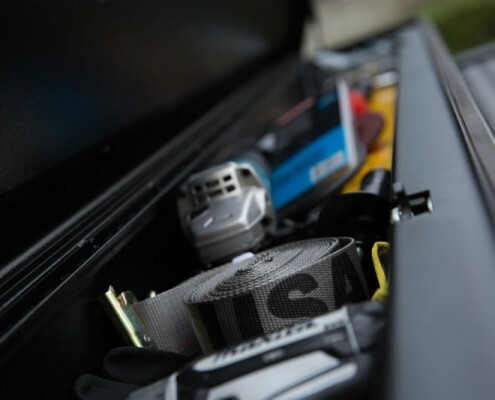 Truck Covers USA | AMERICAN WORK COVER JR.
You are here: Home / AMERICAN WORK COVER JR.
Truck Covers USA is proud to introduce the American Work Cover Jr. With the success of & awards for our original American Work Cover product, we were focused on providing the next stage in innovation, a smaller version of our original Toolbox. 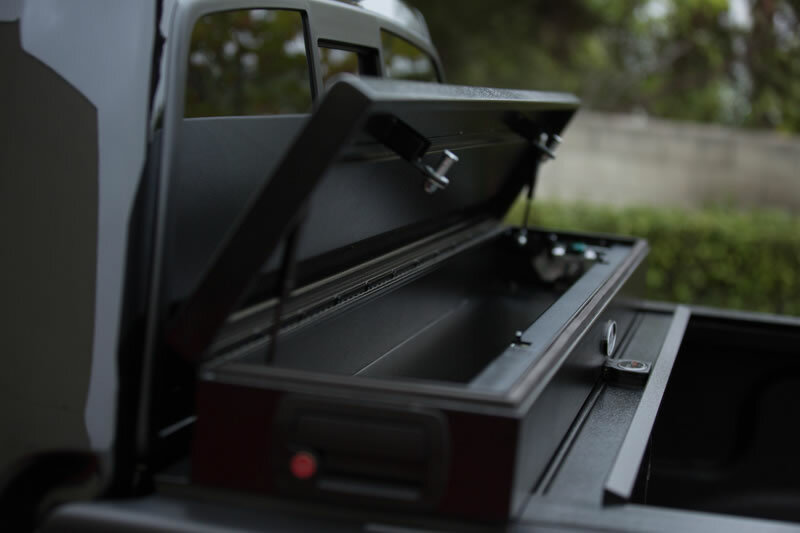 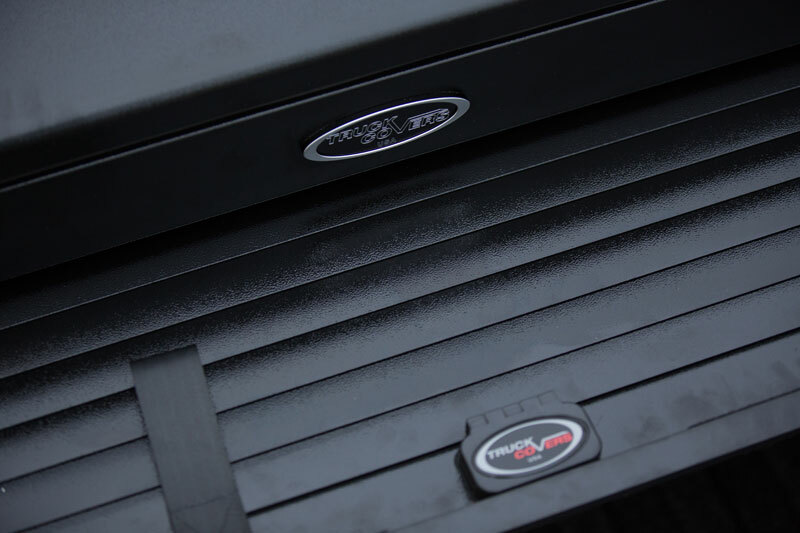 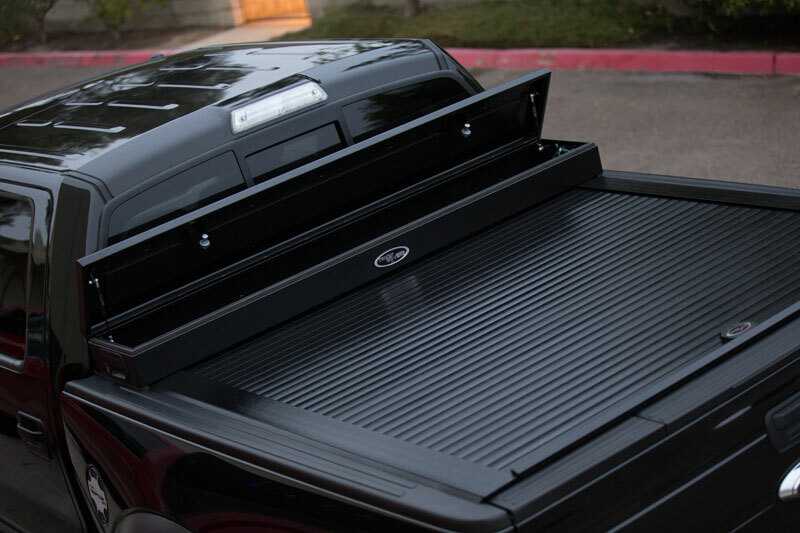 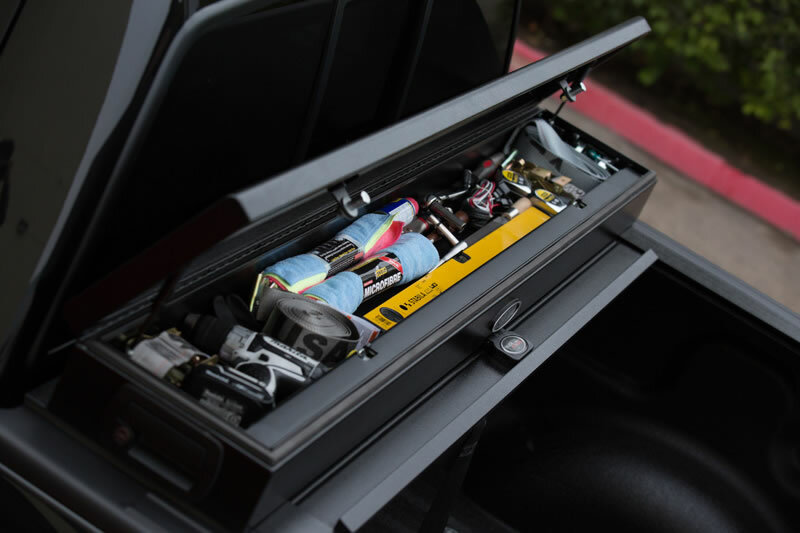 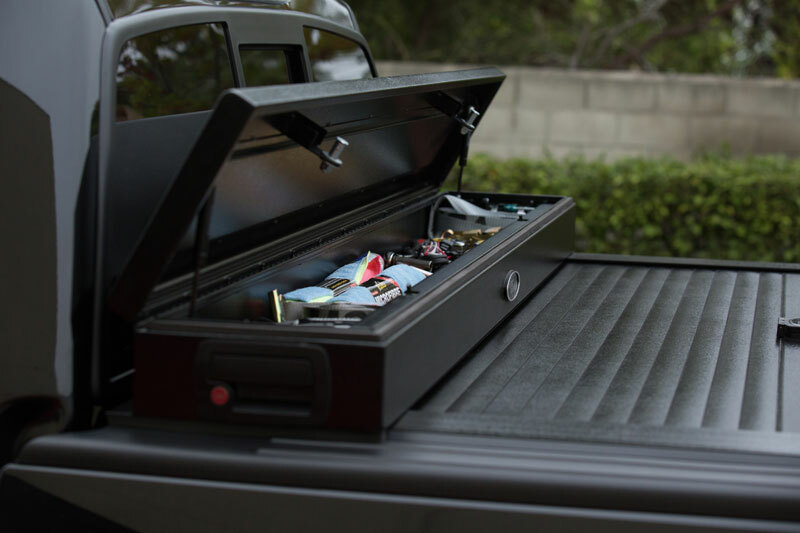 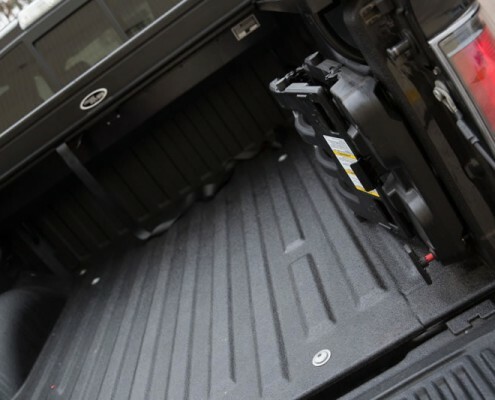 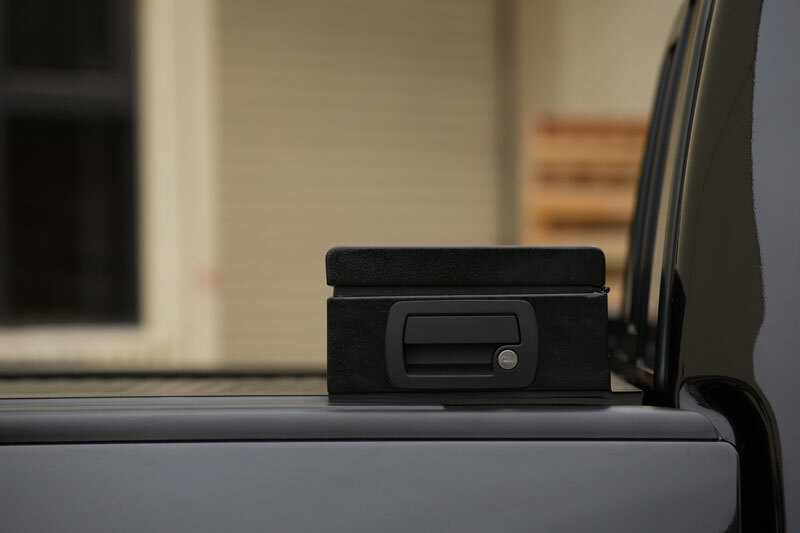 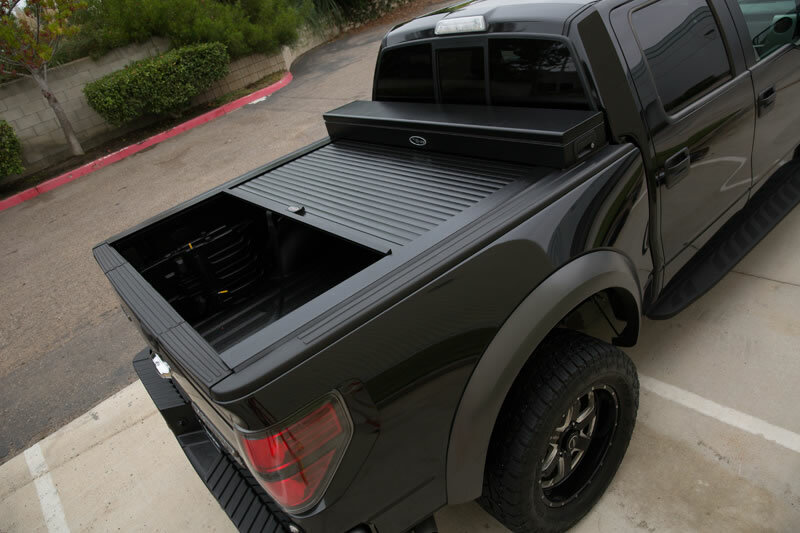 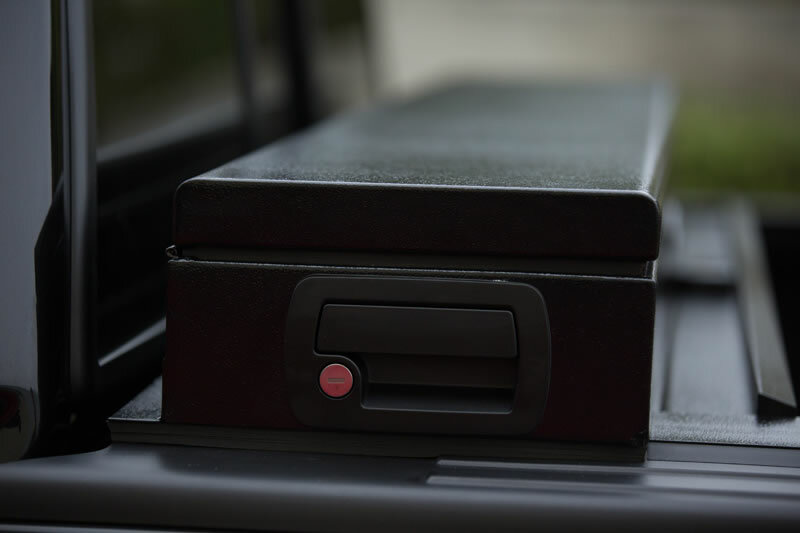 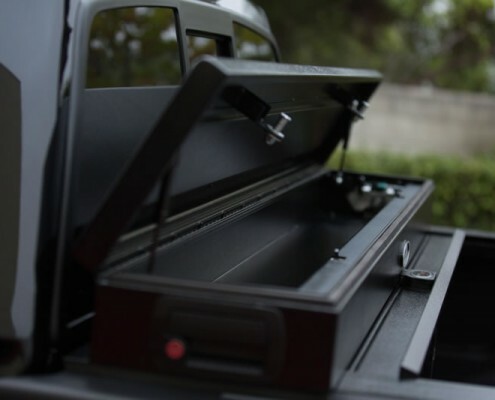 An industry first, this new Toolbox Jr. is able to replace the American Roll Cover canister lid to provide the convenience of a toolbox without any additional loss of bed space. 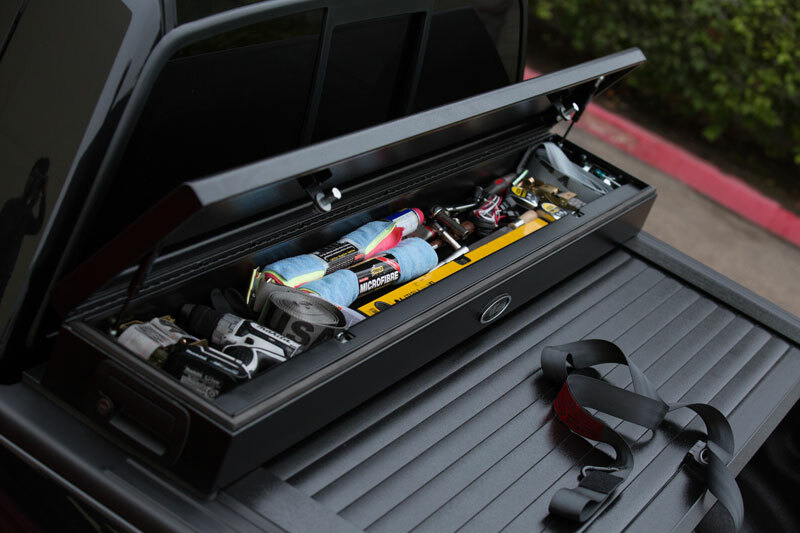 The ideal product for the journeyman or outdoorsman to carry tools & other equipment without the loss of any additional bed space. Keeps whatever you need to carry safe & secure. 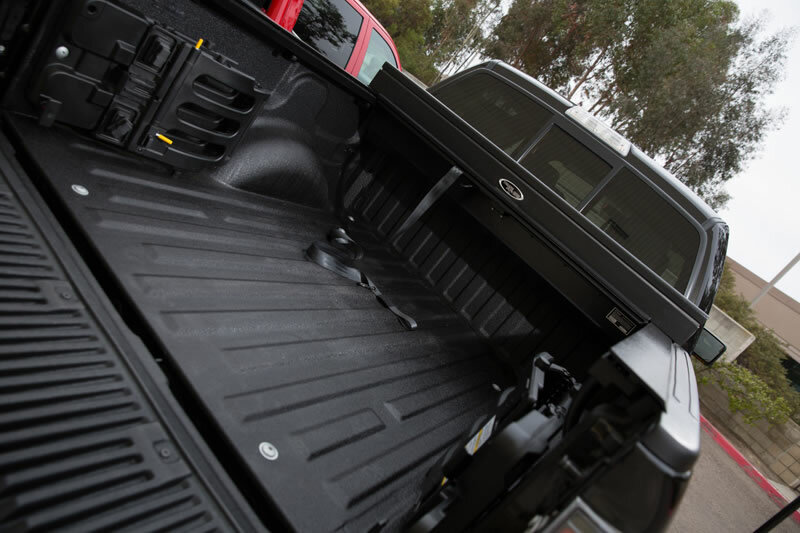 Product features include: heavy duty metal construction, OEM grade locking mechanisms, gas shock opening. 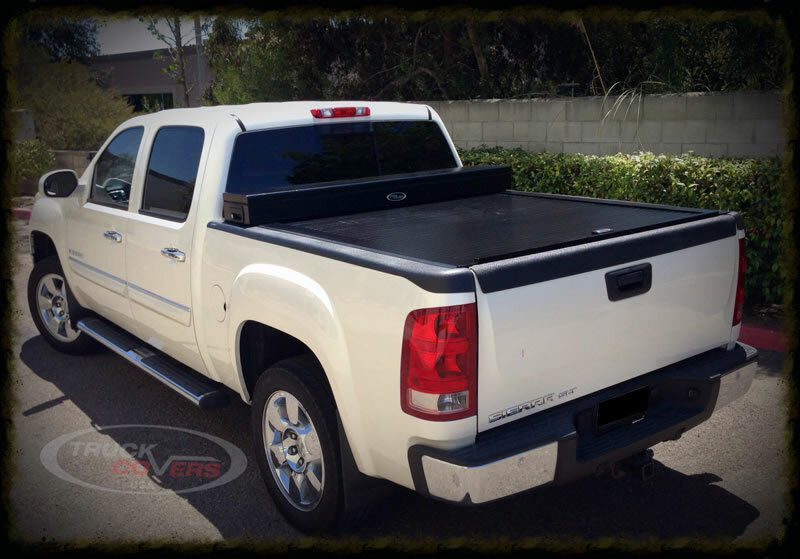 Perfect for new & existing American Roll Cover customers. 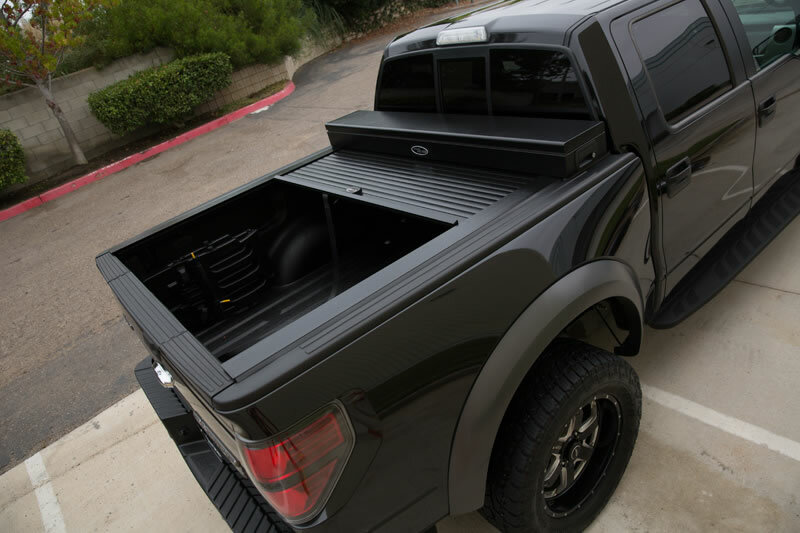 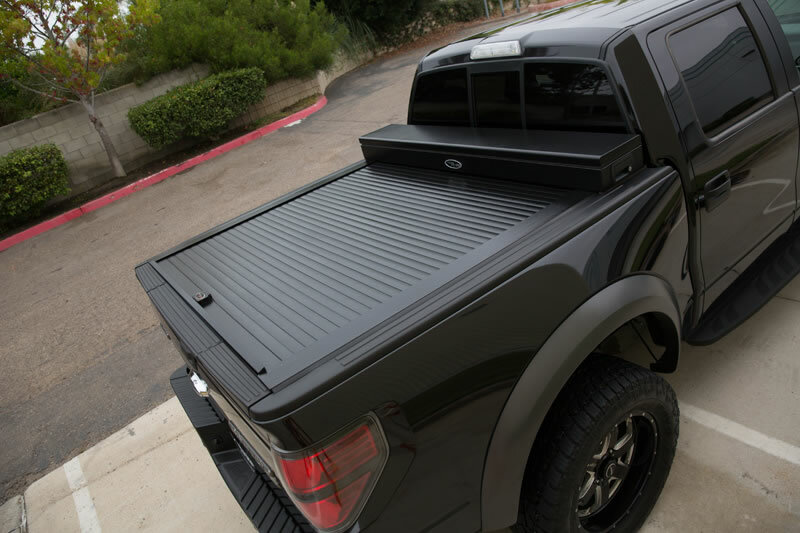 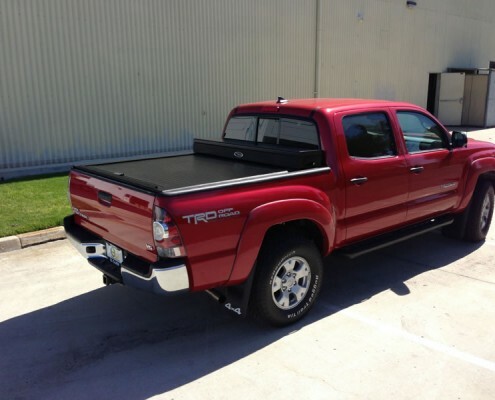 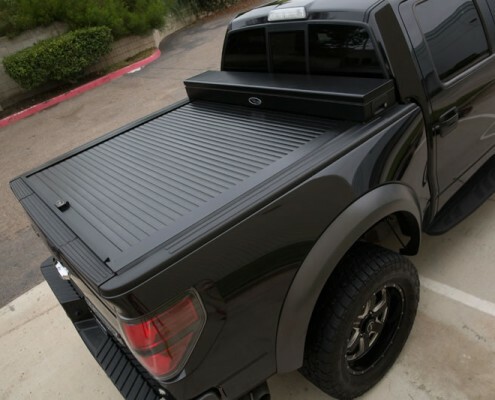 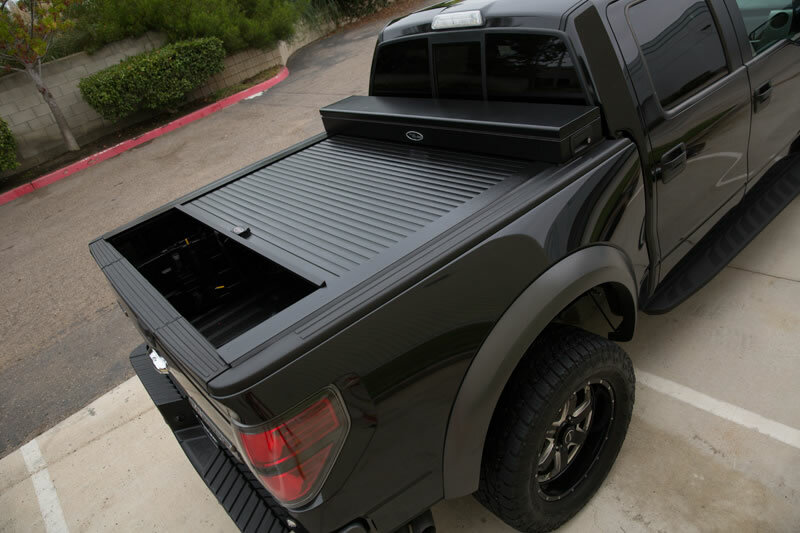 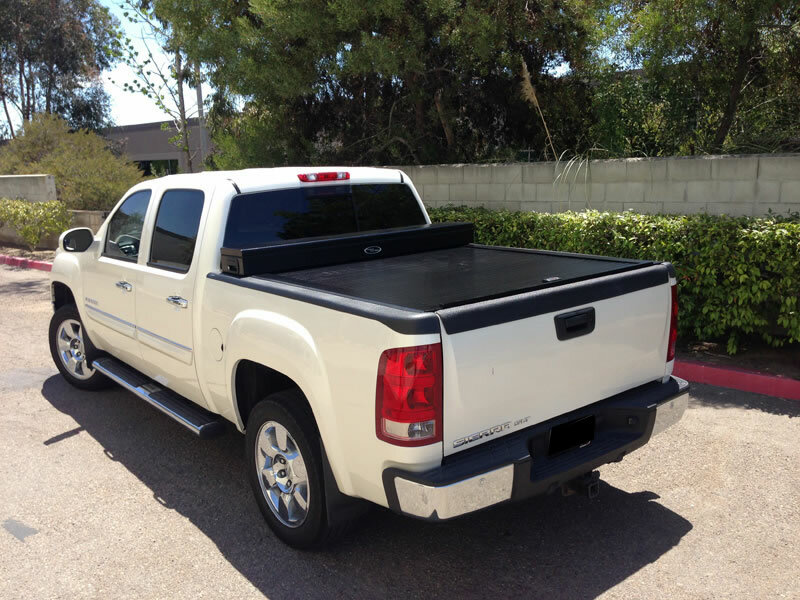 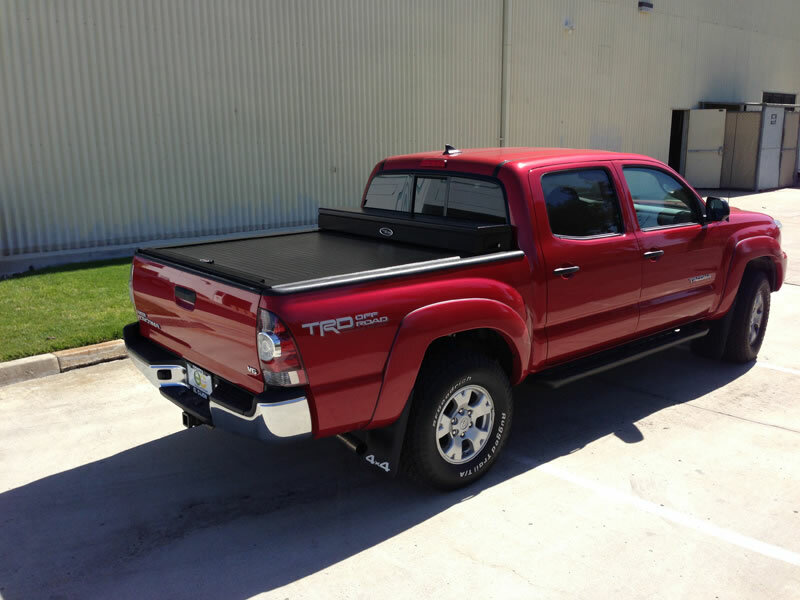 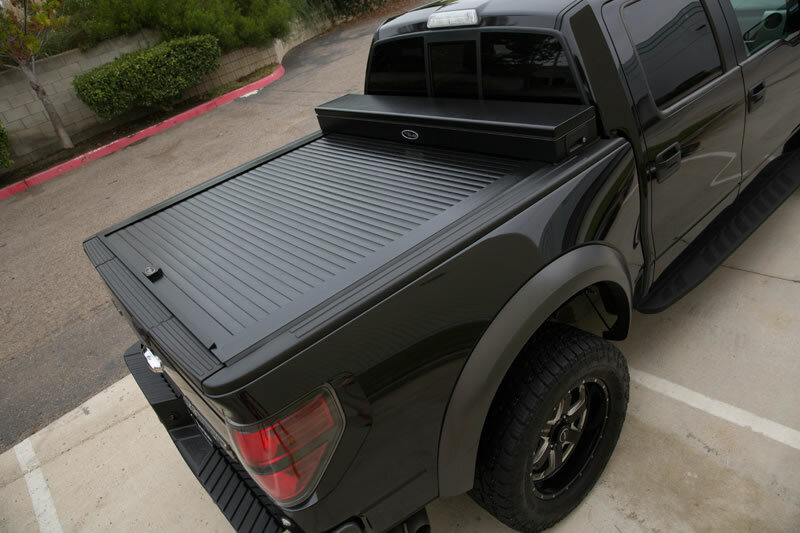 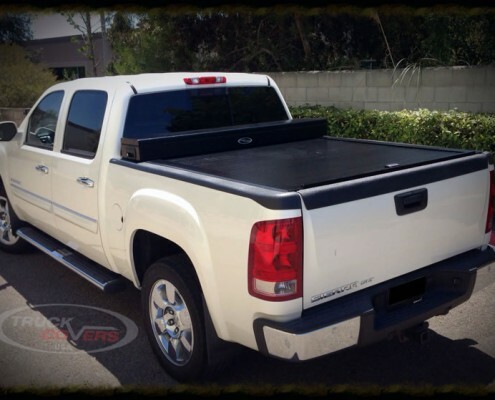 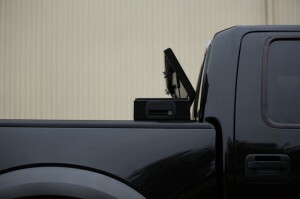 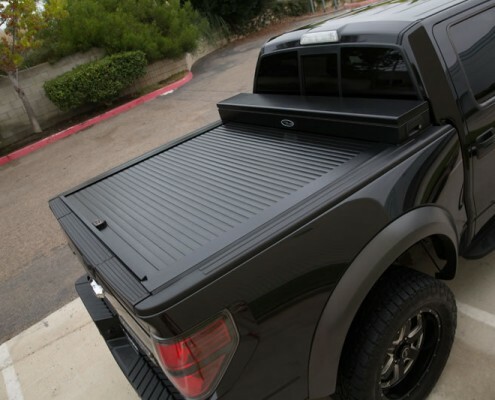 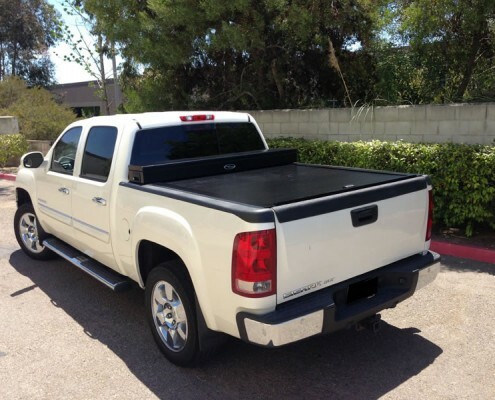 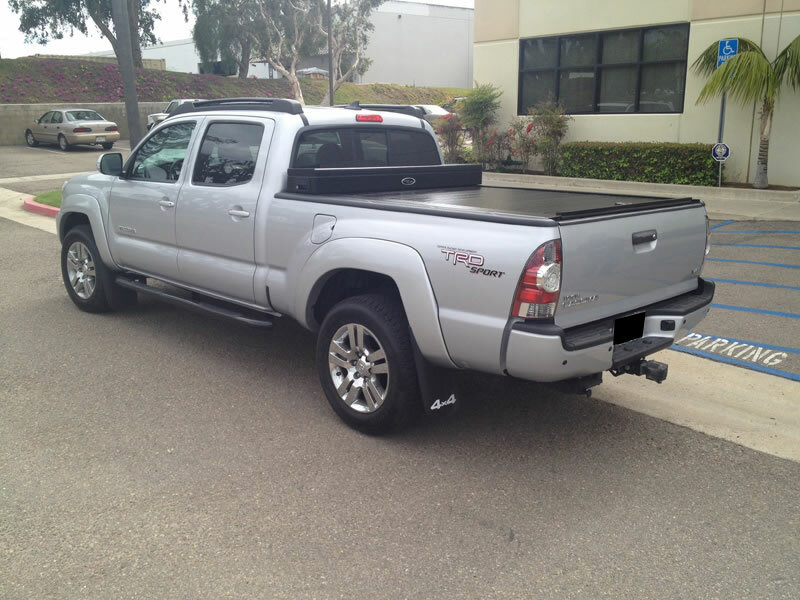 The American Work Cover Jr. – another new and innovative product from Truck Covers USA. 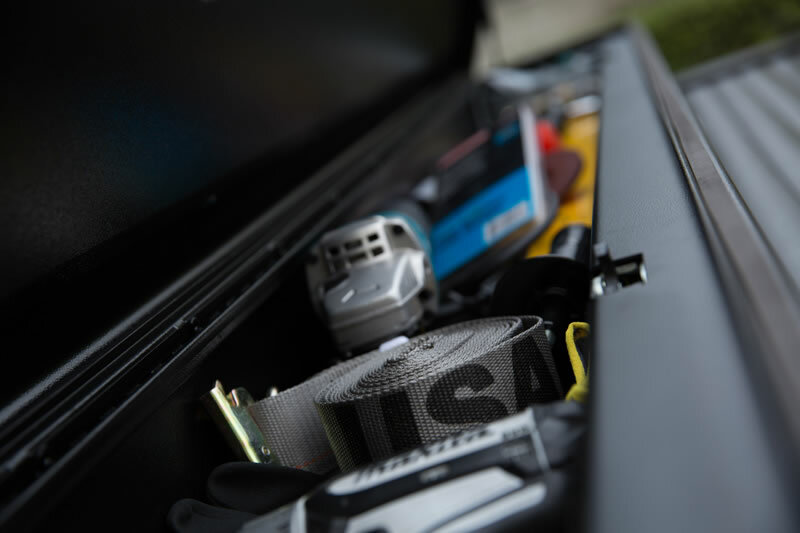 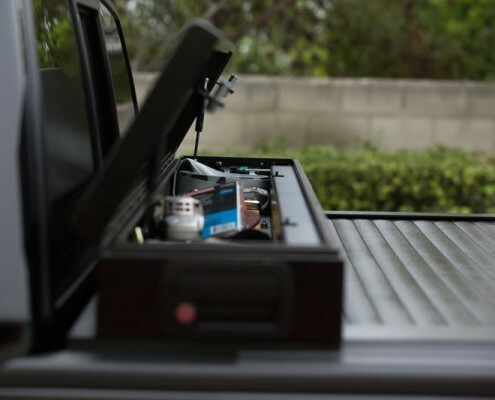 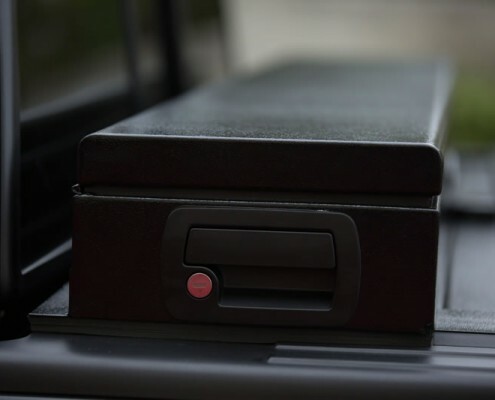 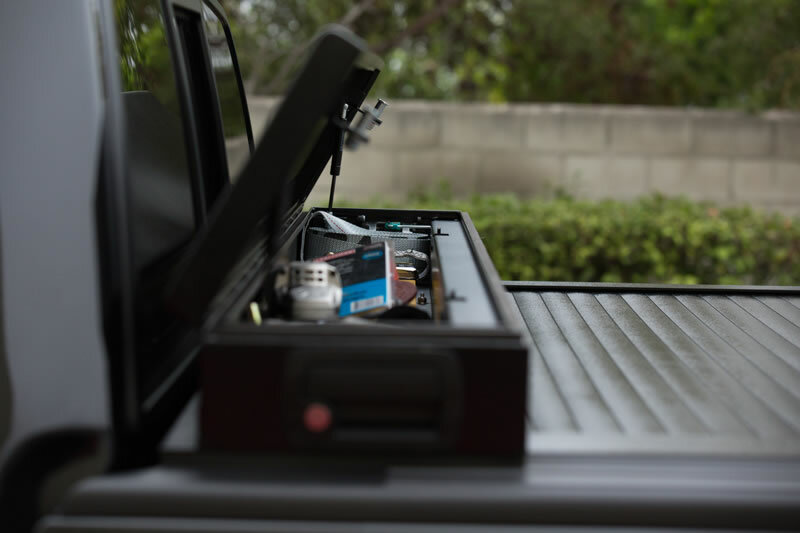 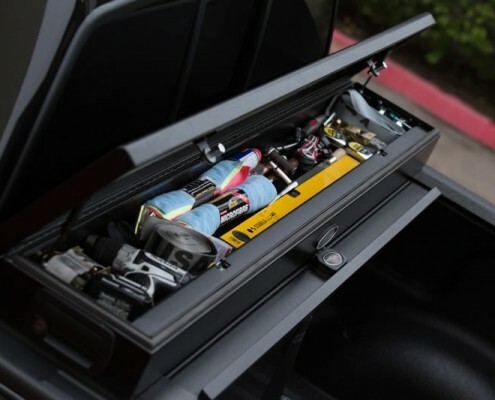 The Finest Toolbox available – Quality & Security! The Toolbox Jr. is a great addition to the American Roll Cover. 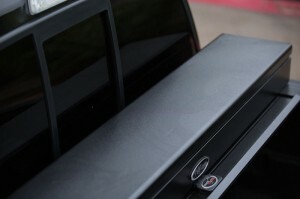 Easy install with your existing American Roll Cover. 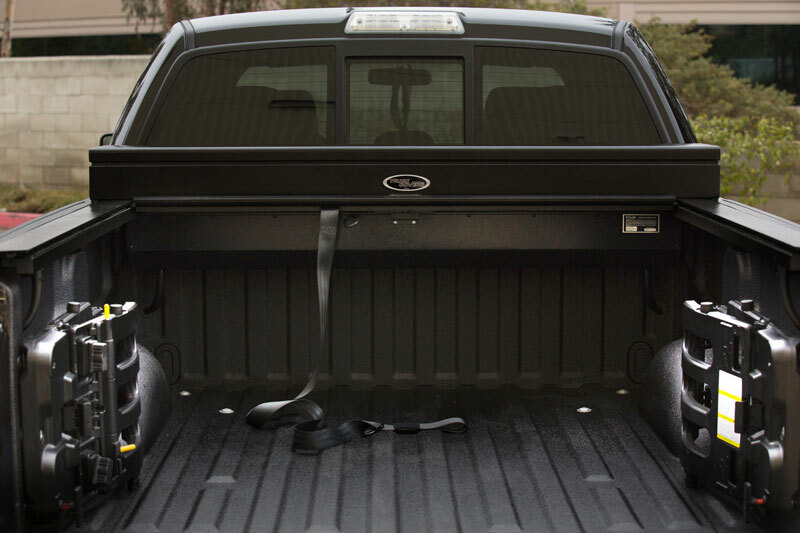 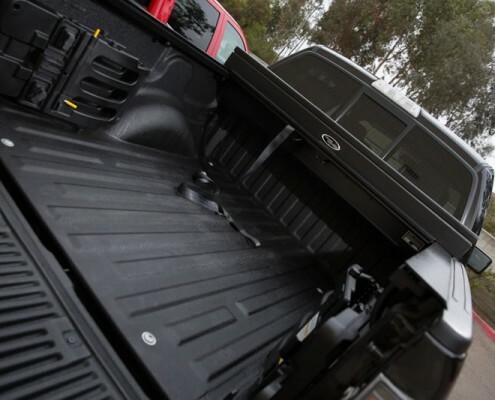 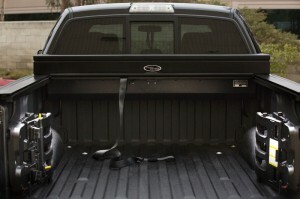 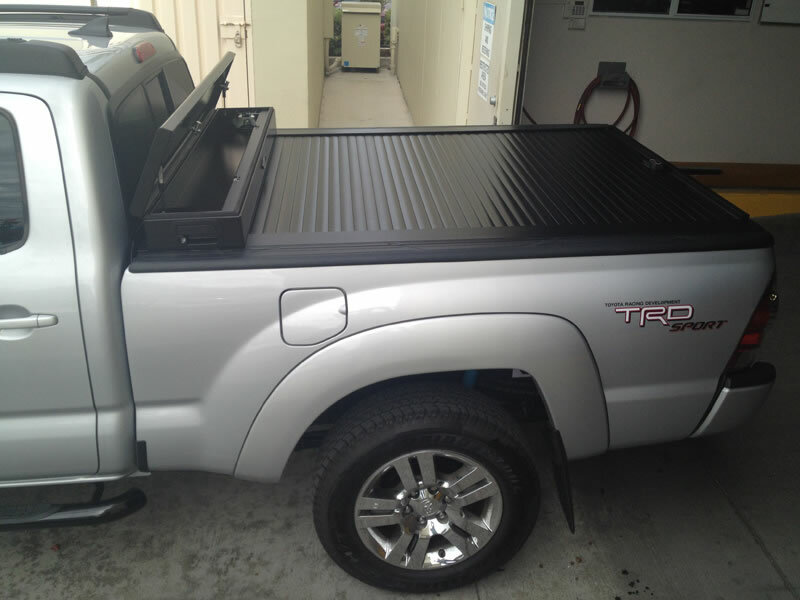 Takes up no additional bed space while providing safe & secure storage for tools and equipment. 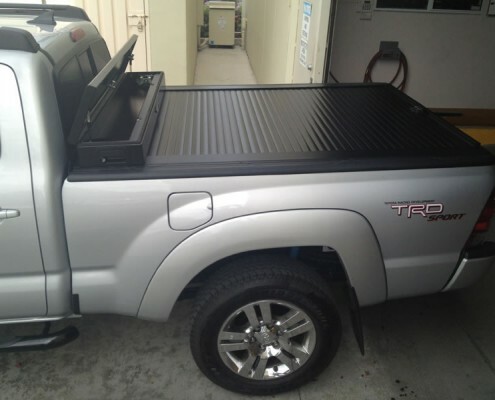 Product features include: heavy duty metal construction, OEM grade locking mechanisms, gas shock opening. 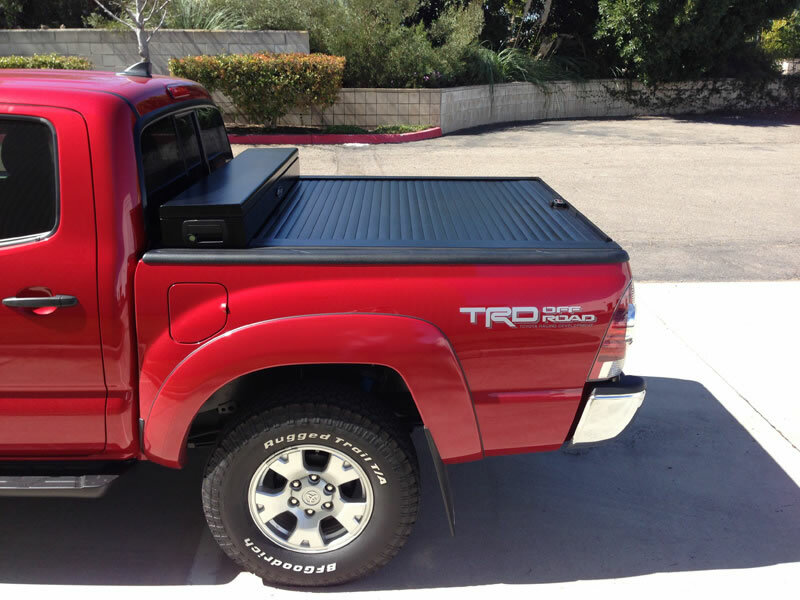 Perfect for new & existing American Roll Cover customers. 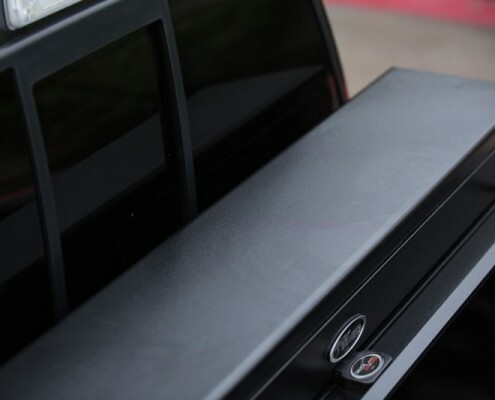 Like chrome? 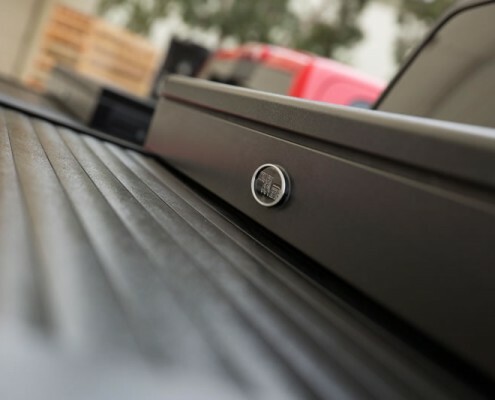 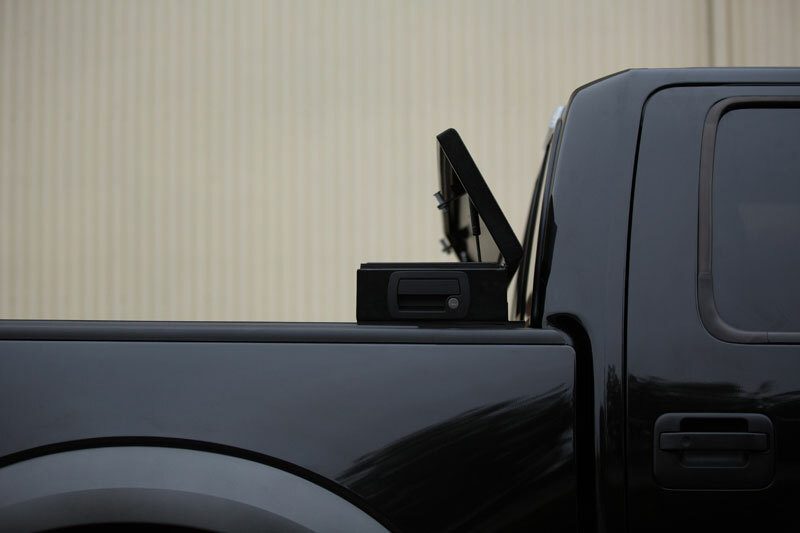 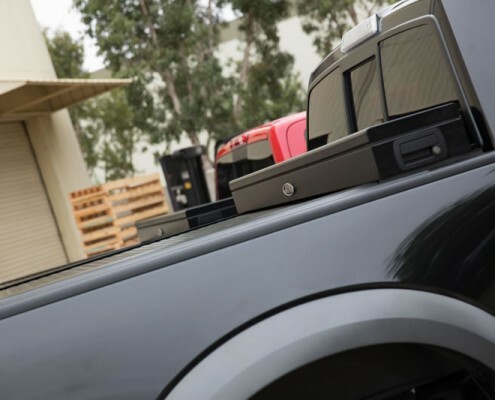 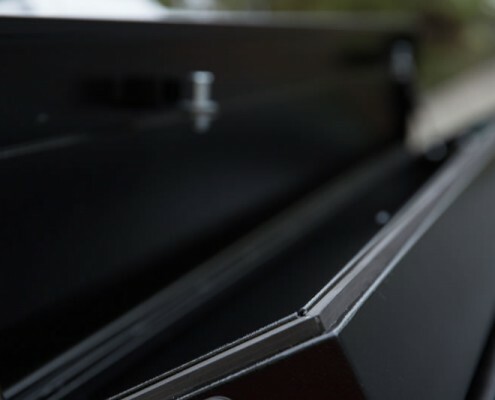 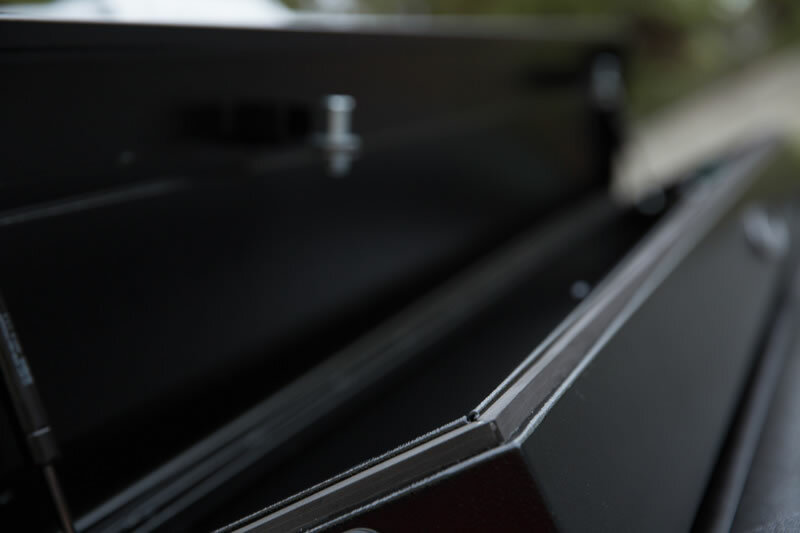 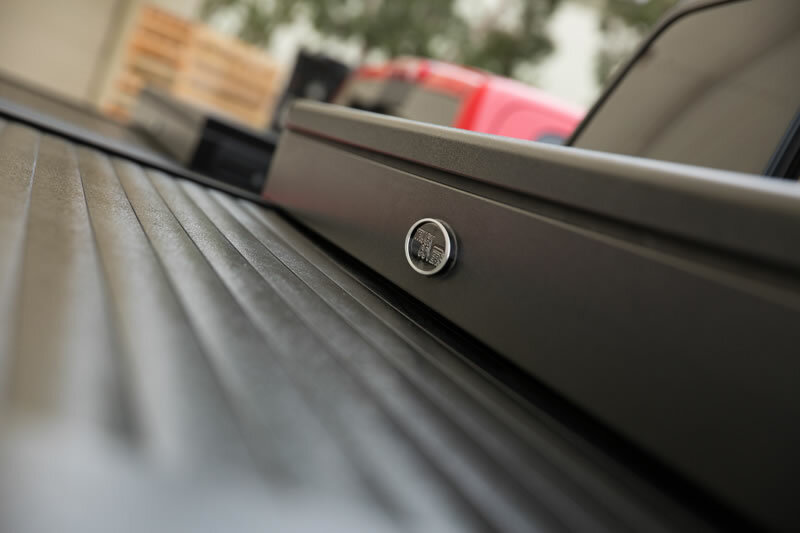 We offer the option of chrome handles for your American Work Cover toolbox – still giving you the high quality OEM grade complete locking mechanism with a little more shine. 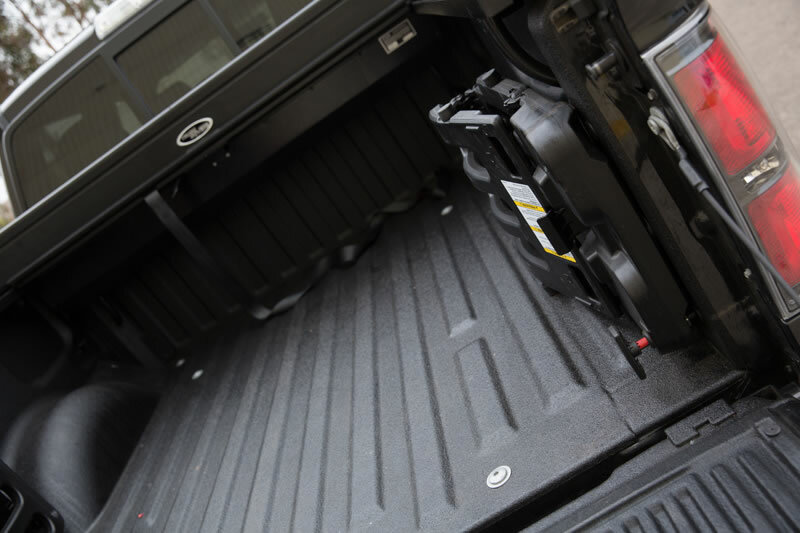 LINE-X PREMIUM – BRAND NEW, FOR LIFE. 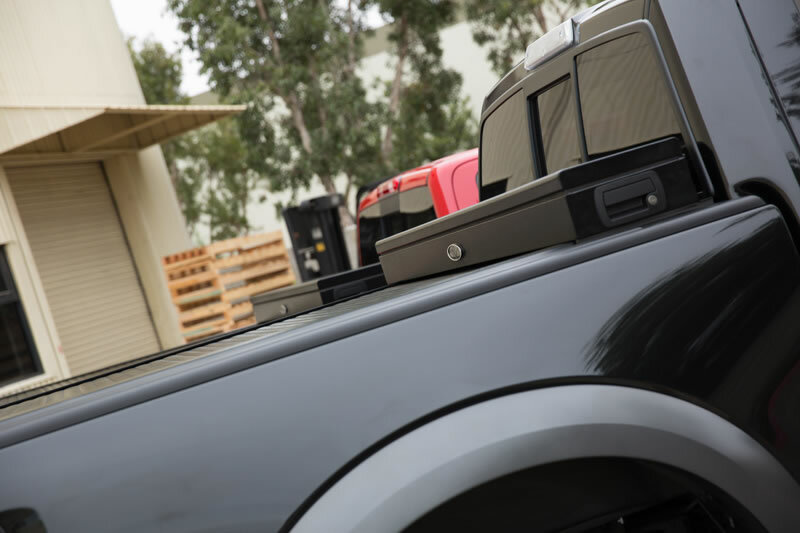 LINE-X PREMIUM couples the abrasion and impact protection you already trust with the UV protection you need in a coating. 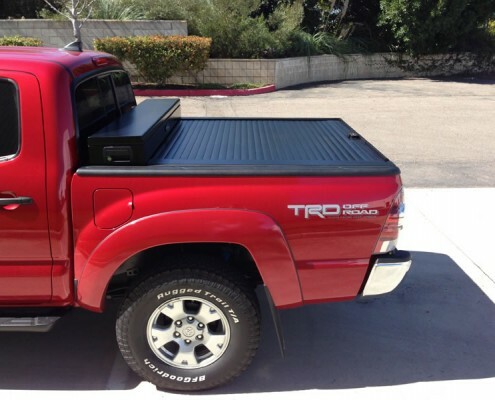 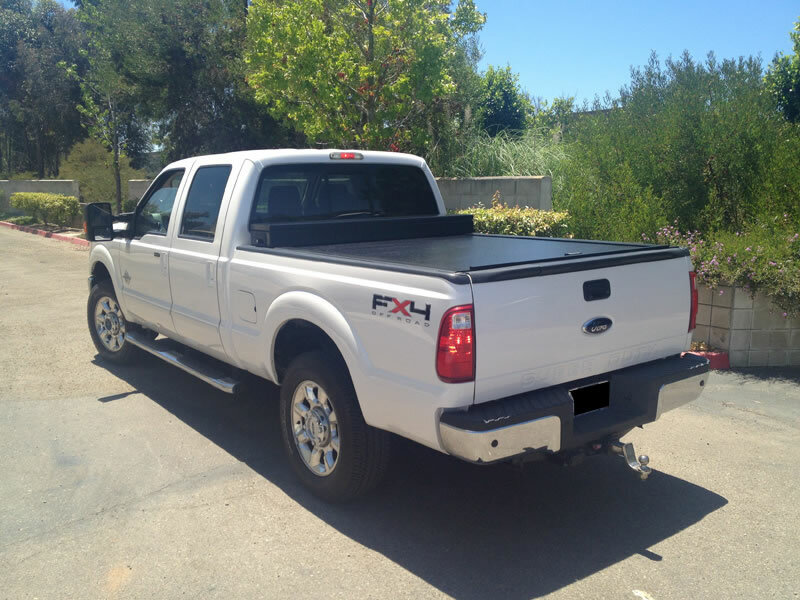 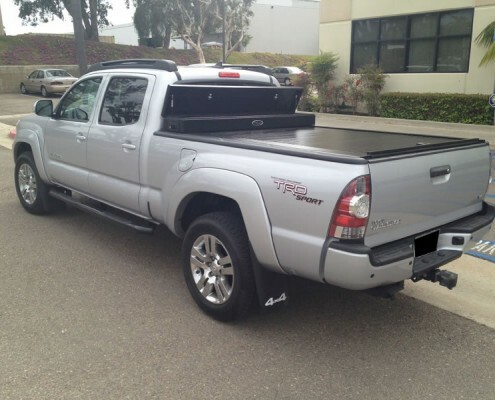 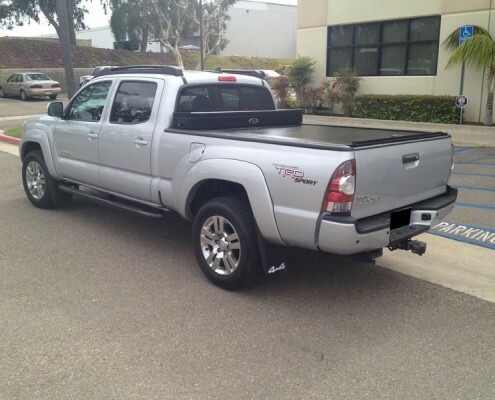 A TRUCK COVER THAT REALLY WORKS!